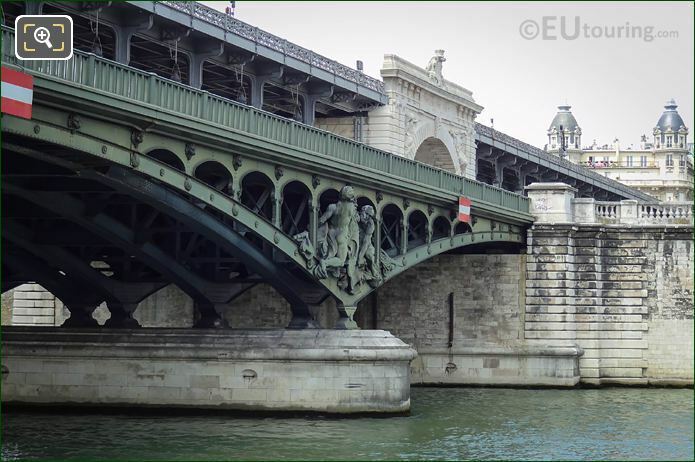 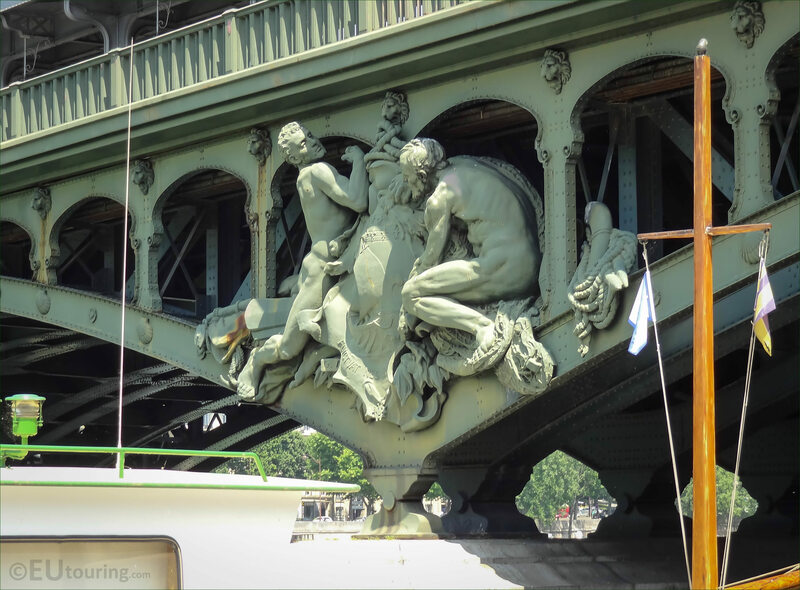 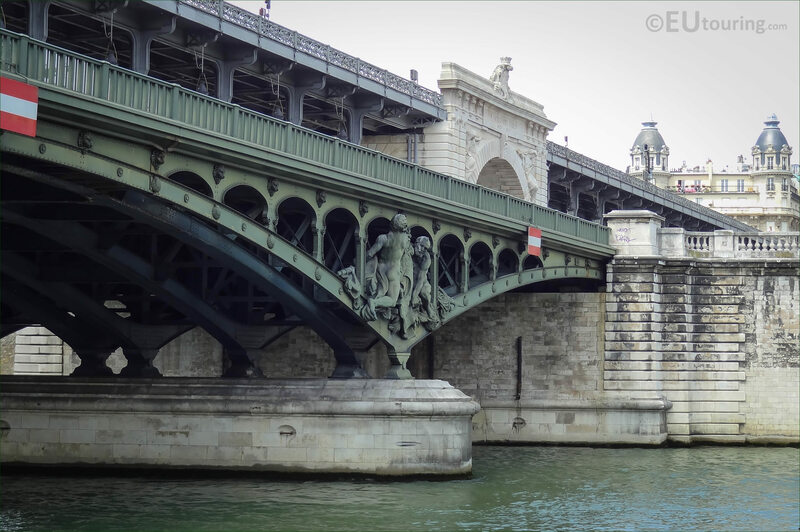 We were walking along the banks of the River Seine in the 15th Arrondissement of Paris when we took these high definition photos of a statue group on the Pont de Bir-Hakeim called the Boatmen, which was sculpted by Gustave Michel. It was Jean-Camille Formige, who was a Paris municipal French architect that was put in charge of the decorations for the Pont de Bir-Hakeim and he commissioned three different artists and sculptors to produce the decorations for this new bridge over the river Seine. 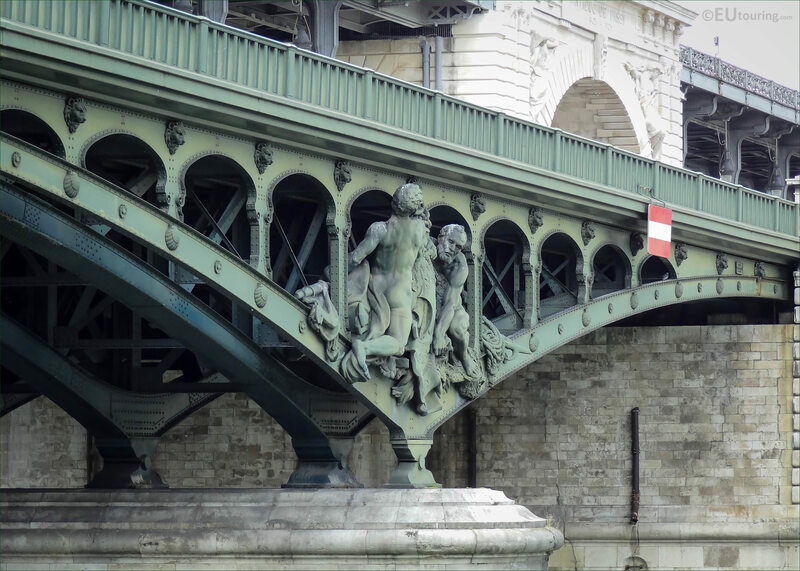 And it was Gustave Michel that was commissioned to produce the cast iron statue groups with one set being called the Ironsmith Riveters and the other The Boatmen, which is the statue group you can see in these images. 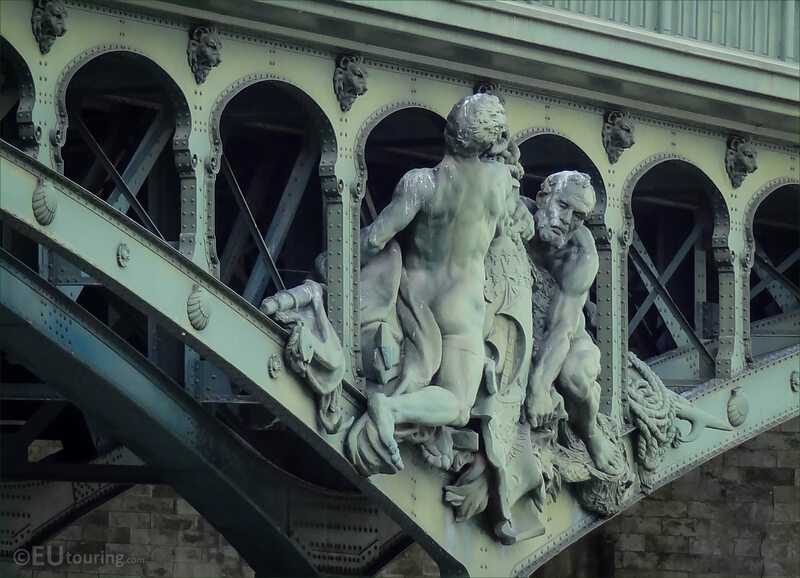 Now Gustave Michel was born in Paris in 1851 and entered the Ecode des Beaux Arts under Francois Jouffroy to become a French sculptor, with his first works presented at the 1875 Paris Salon, and becoming recognised and well respected he received numerous different commissions for statues and sculptures to adorn famous tourist attractions. 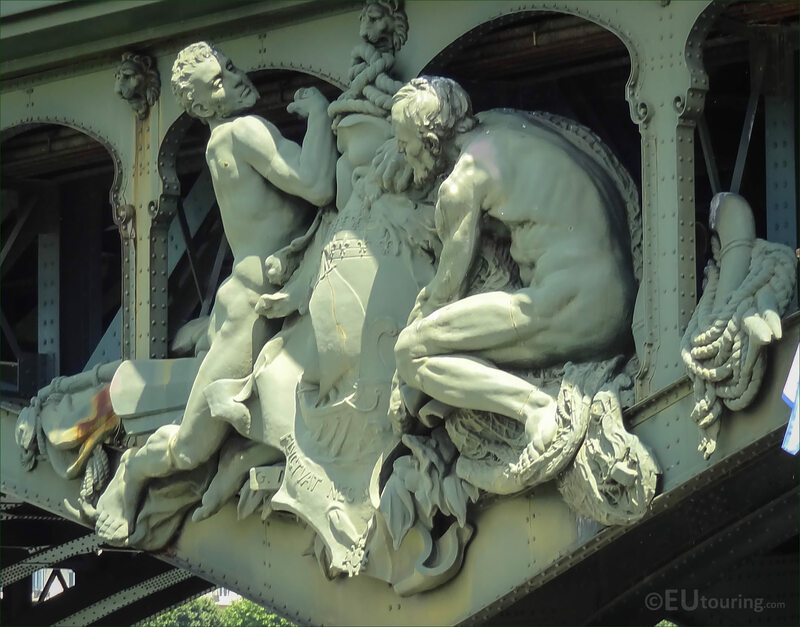 Gustave Michel not only worked on The Boatmen statue in the years between 1903 and 1905, which in French is actually called Nautes, but prior to that he had produced the monumental statue of Contemporary France for the Pont Alexandre III along with works for other attractions like the Sacre Coeur and the Petit Palais. 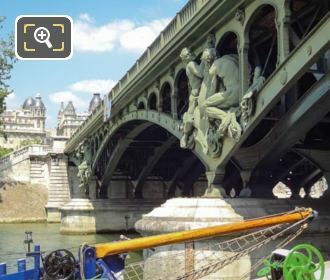 Also, Gustave Michel was awarded medals on numerous different occasions including the Grand Prize at the 1900 Universal Exhibition, plus he was awarded the rank of Officer of the Legion of Honour in 1905 after the completion of the cast iron statue group that you can see in this high definition close up photo. 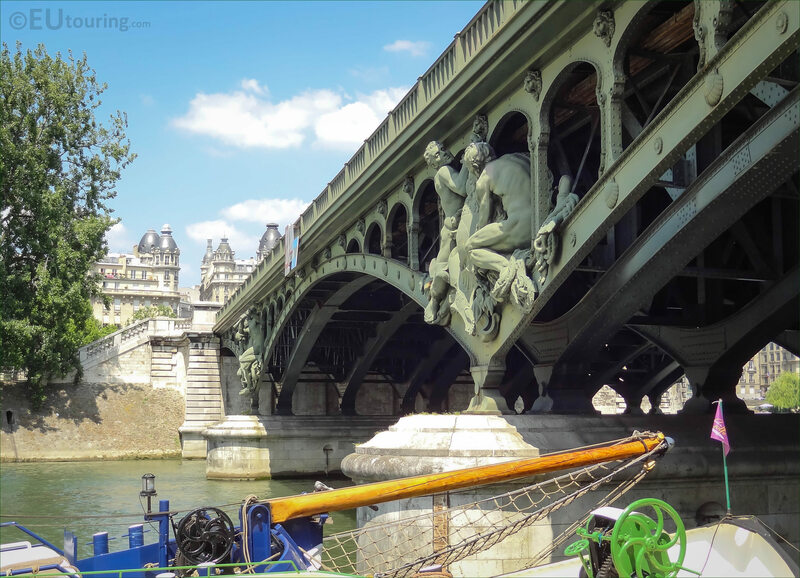 However, it is the Monument to Jules Ferry located within the Jardin des Tuileries that is probably the most well known work of Gustave Michel, but with the differences in styles and materials, it shows just how talented this sculptor was, and the Pont de Bir-Hakeim with its different sculptures and statue groups including the Boatmen, are now classified as historical monuments in Paris.